Josie Lee McNeill, age 85 of 102 Carthage St. Apt 2H, Sanford, NC passed on Monday, April 15, 2019 at her residence. 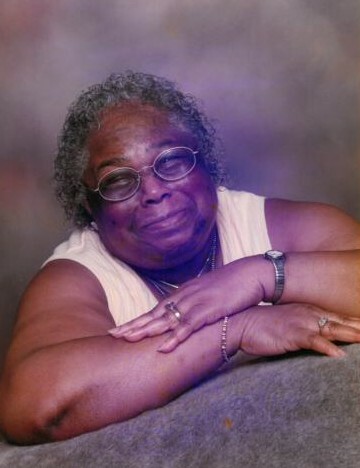 Josie Lee McNeill passed away Monday, April 15, 2019 at her home in Sanford, North Carolina. She was born on October 3,1933 in Sanford, North Carolina. She was the oldest of three siblings and daughter of Lizzie Cole and James McLeod. Josie was married to the late Thaddeus Duncan McNeill. She attended school in Lee County. She was brought up in Star of Hope Church, where her mother was a faithful member and mother of the church; but she was a member of White Oak Missionary Baptist Church in Lillington, North Carolina. In Josie’s leisure times, she enjoyed watching westerns and shopping. Josie is survived by two children, Elaine West and Tony Cameron, with cherished memories of three other children, Denise Diane Rollins, George Cameron and Ella Louise Green. She is also survived by her brother, Clifford Cole (Patti) and a special sister-in-law, Emma McLeod (James – Deceased). She leaves behind a host of grandchildren, great-grandchildren, great great-grandchildren, nieces and nephews. Josie also leaves behind a dear friend of thirty plus years, Charles Cox and her special caretaker, Sharon Williams.